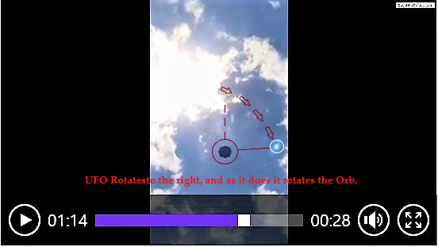 Above: Still from case video showing that the object isn't entirely circular in shape! 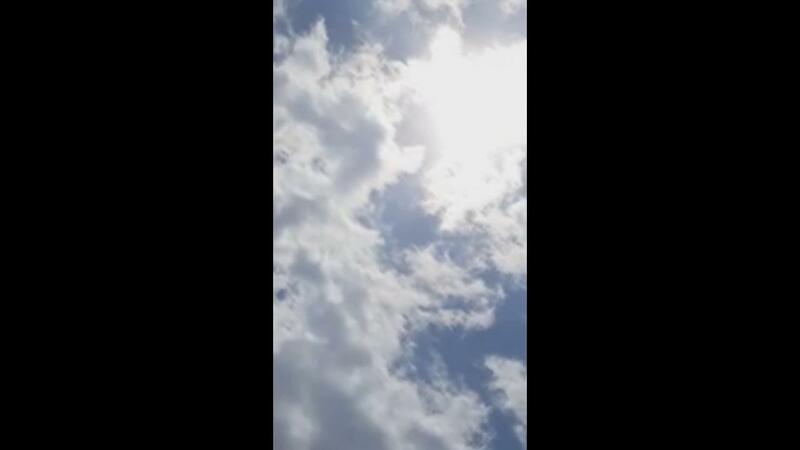 It remains in shot until Mr Arriola has to pull away in his car as the traffic starts moving again. 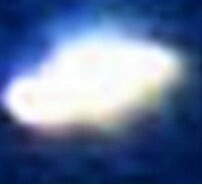 BEAMS Comment: Note from the above how this UFO isn't actually a perfect, circular shape! 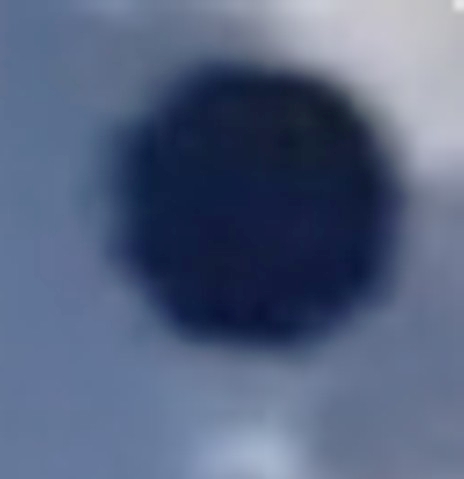 Regardless, we have seen this type of dark flying disk before in other videos on numerous occasions. 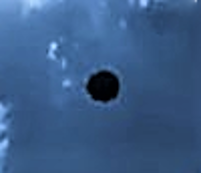 Similar objects to this disc have been observed in our skies for decades - and we are fairly certain this isn't something man-made such as a drone; obviously it isn't a bird or a bug either; so, what does that leave us with? well, if we were to hazard a guess, we would place the words 'biological' and 'intelligence' fairly high on our shortlist of possibilities. 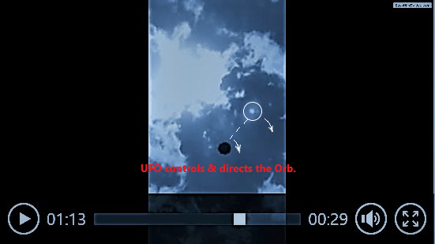 There's a question mark about the small, white light seen in this video though.